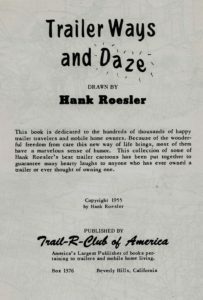 America’s largest Publisher of books pertaining to trailers and mobile home living. 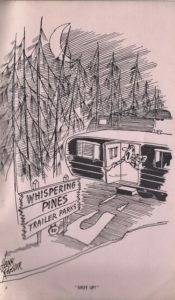 This book is dedicated to the hundreds of thousands of happy trailer travelers and mobile home owners. 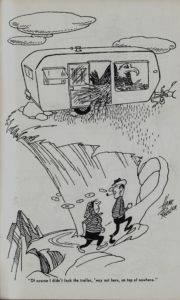 Because of the wonderful freedom from care this new way of life brings, most of them have a marvelous sense of humor. 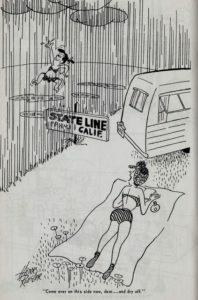 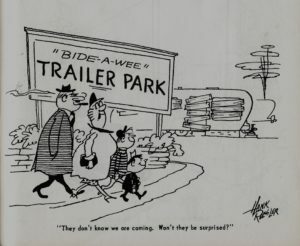 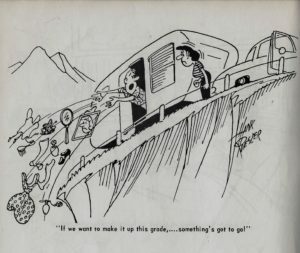 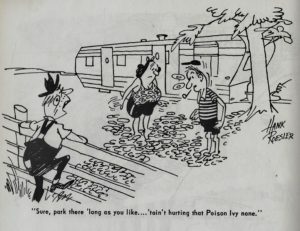 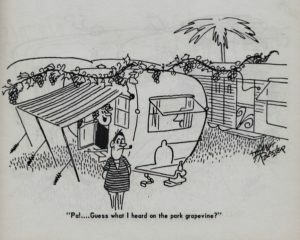 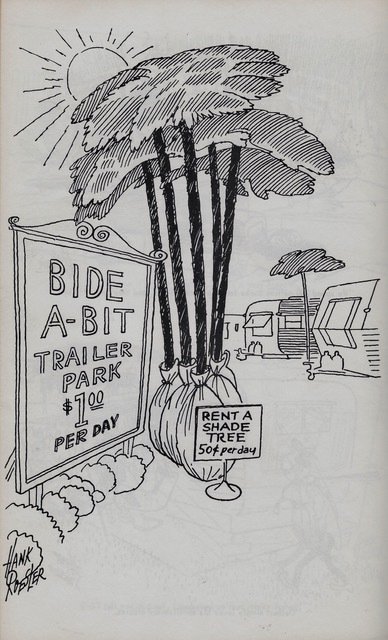 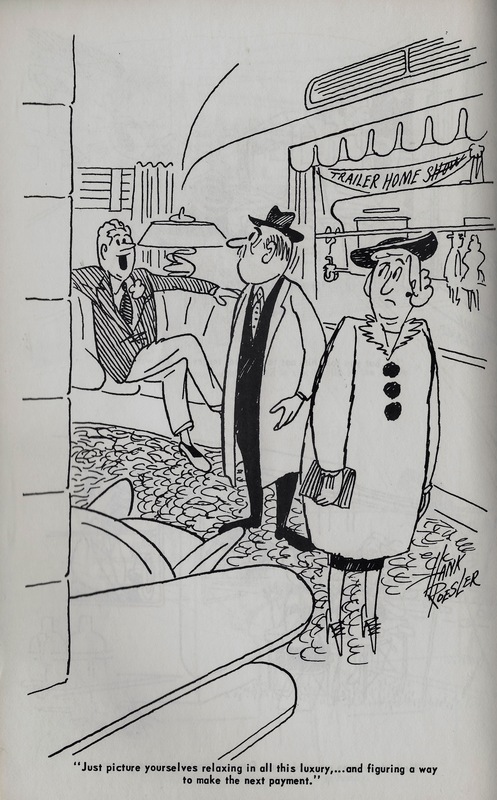 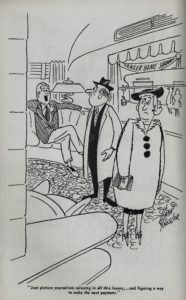 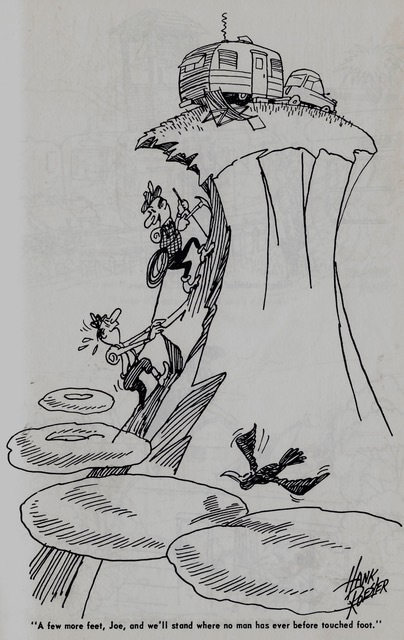 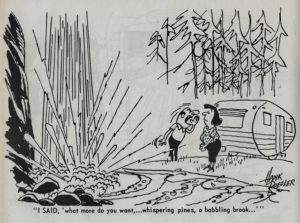 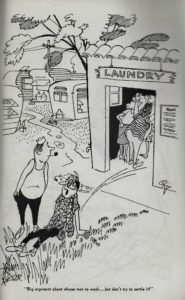 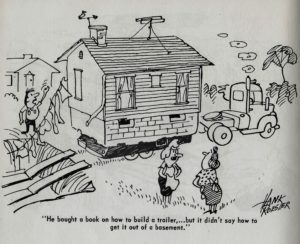 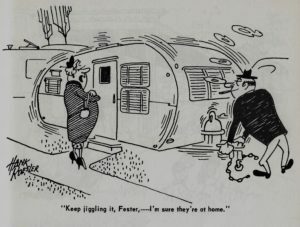 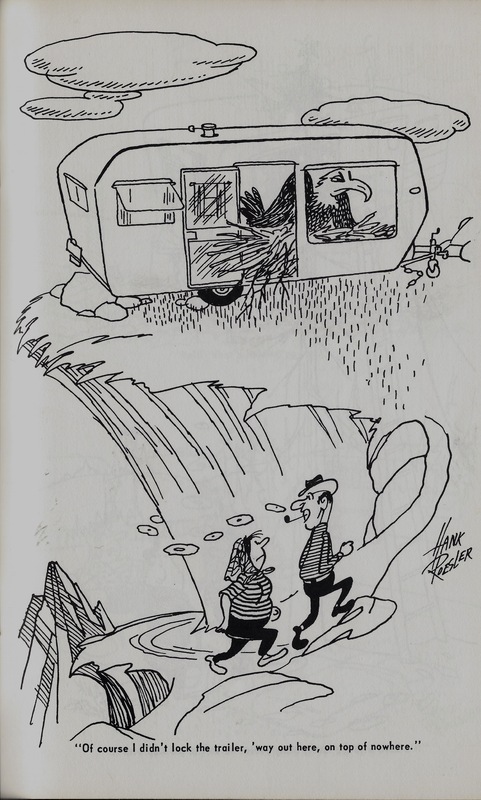 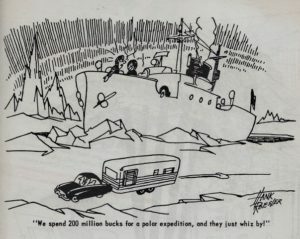 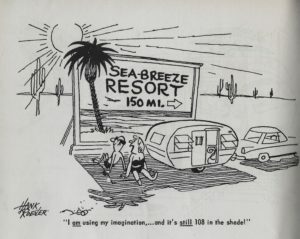 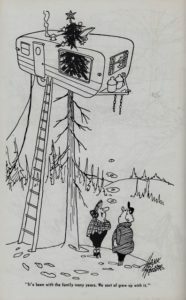 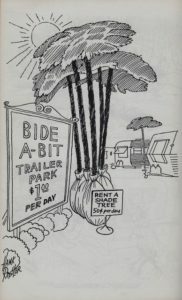 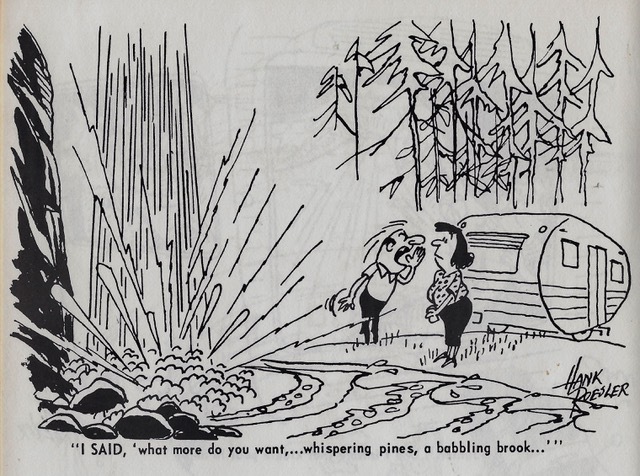 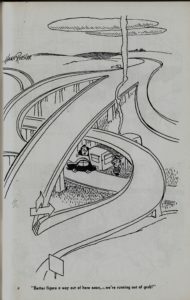 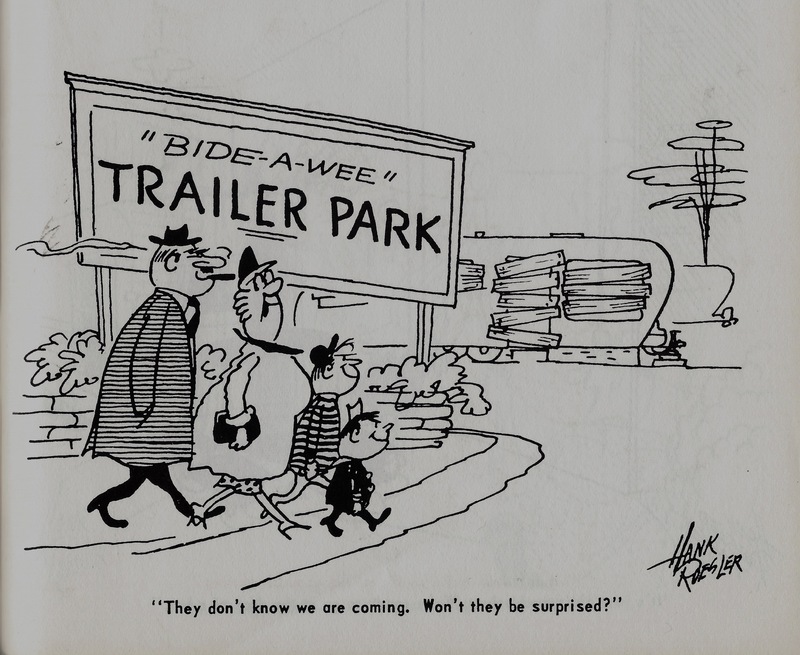 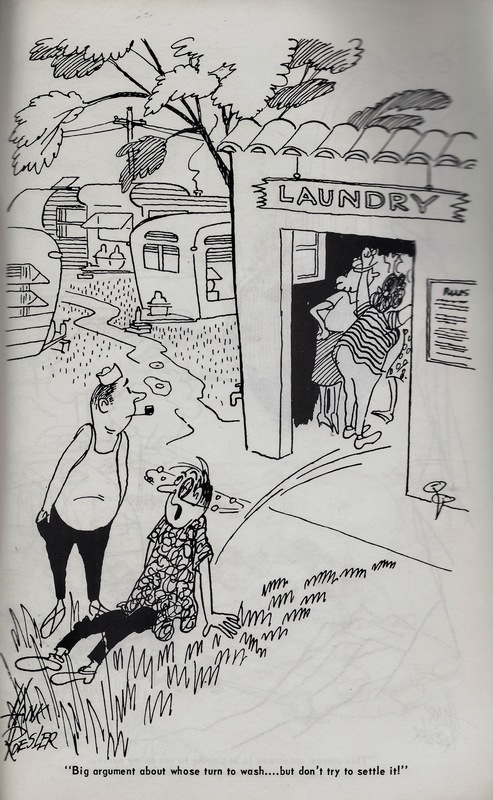 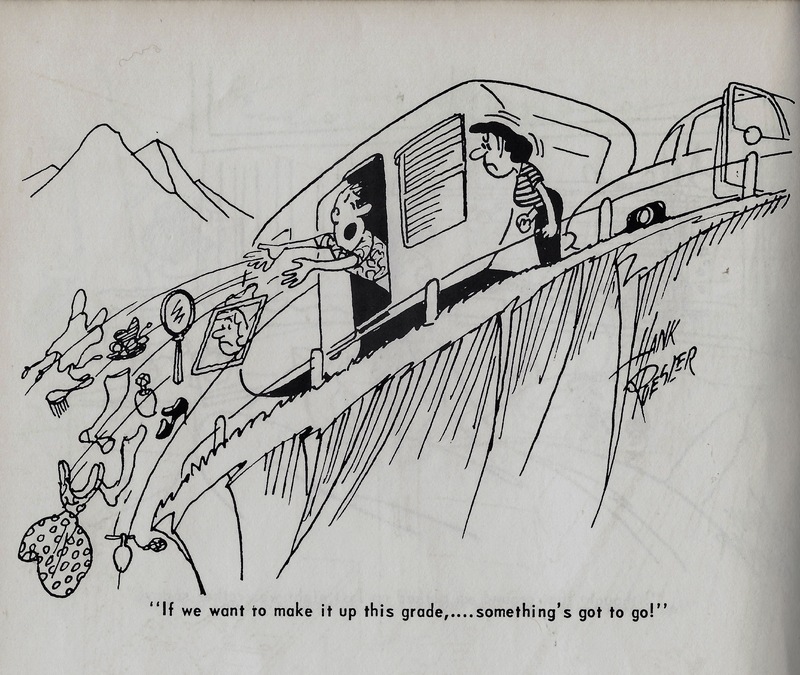 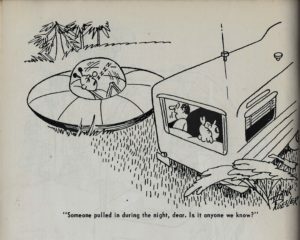 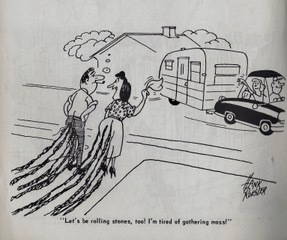 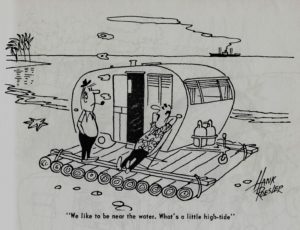 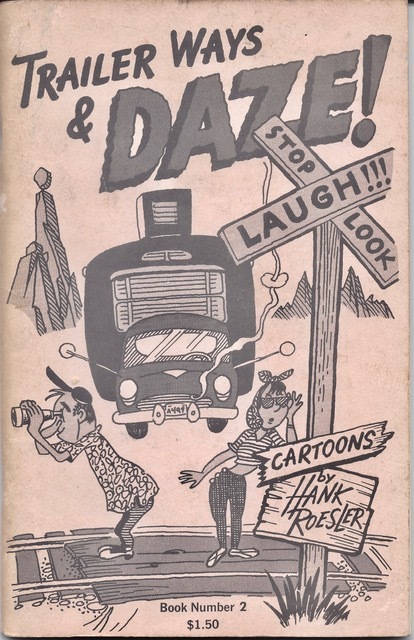 This collection of some of Hank Roesler’s best trailer cartoons has been put together to guarantee many hearty laughs to anyone who has ever owned a trailer or evwer thought of owning one. 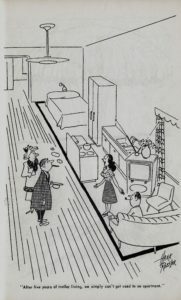 “Someone pulled in during the night, dear. 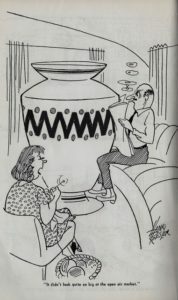 Is it anyone we know?